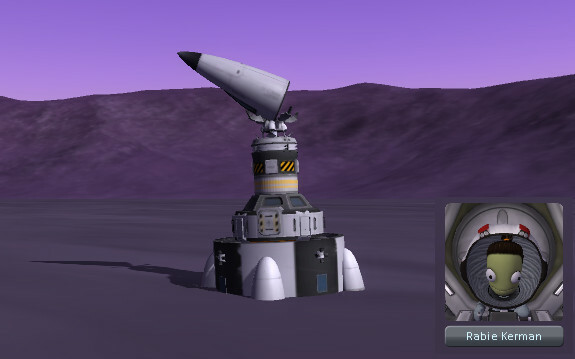 Since Gregwell had sorted out the ghost readings on Minmus, it was finally time to launch our Gilly ship. Stalula and Rabies were excited to finally get going. 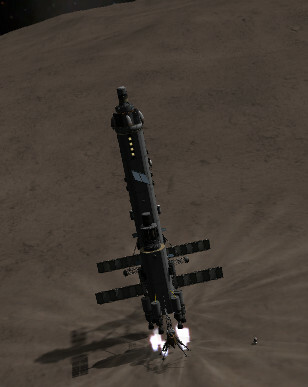 The trip to Eve was fairly uneventful. They managed to arrive before any of the other in-flight ships got to their destinations. And on to Gilly! Getting an encounter wasn't even that bad. 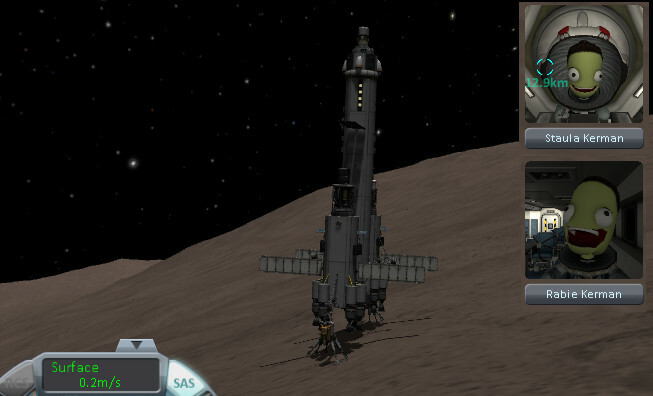 Landed fine and fired up the mining equipment... only to start sliding down the hill. For a long time, and at alarmingly high speeds. Mining all the time. After a few hundred meters of elevation change they eventually came to a stop. They spent a few days topping off on fuel. Rabies had a few errands to run and she left Stalula behind. 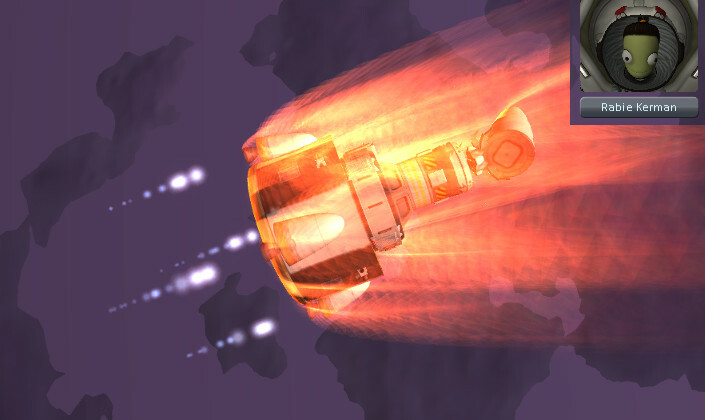 Watch out for the rocket blast Stalula! 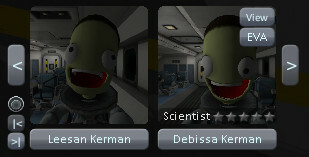 This mission was short on pilots (Stalula is an engineer and Rabies is a scientist). 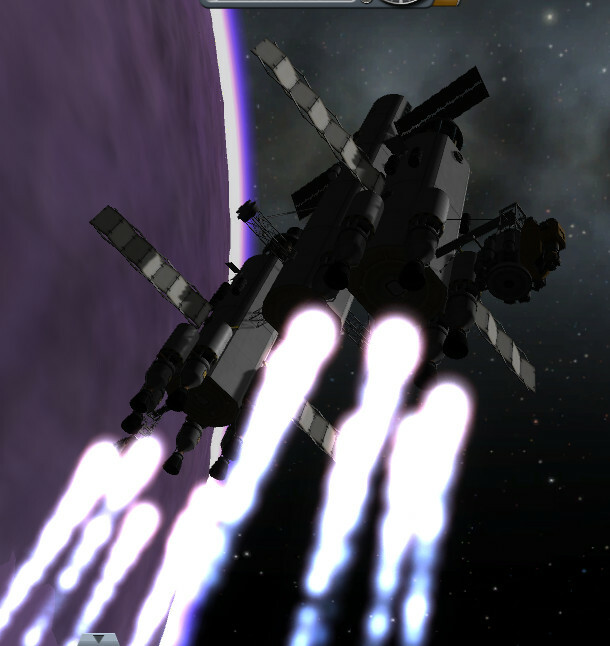 Mission control had radioed in that two Kerbals were stuck in extremely low Eve orbit. Rabies was hoping at least one of them was a pilot! 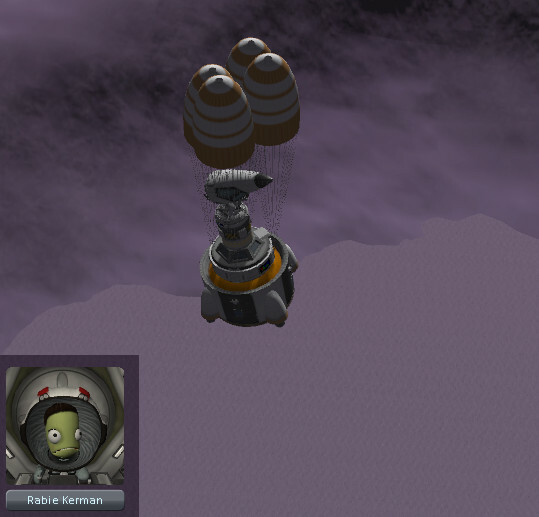 It was a pain rescuing these guys, they were barely above the clouds. First was Lee-san. How in the world did you end up in this situation. The contract was to rescue her "spacecraft" too, so we grabbed it with the claw. Next on to Debbi-ssa who turned out to be Lee-san's identical twin. Also in identical debris. Very odd. Any of you guys pilots? What! Both Scientists? Useless. Rabies was beginning to get a bit suspicious about these "scientists". Suddenly Debbi-ssa ran up and pressed the staging button. Oh no! There goes Rabies! But Rabies landed safely it what appears to be a big lake of purple pudding. Well, let's make the best of it, we still have that contract to send back some Eve science data. Let's do that... wait. 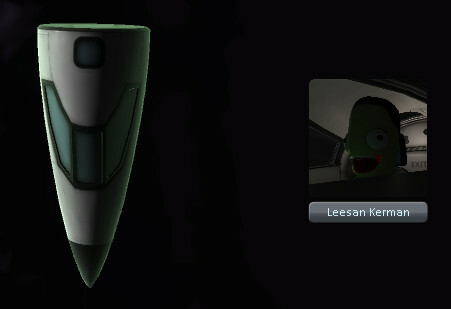 This lander *also* does not have an antenna?!? 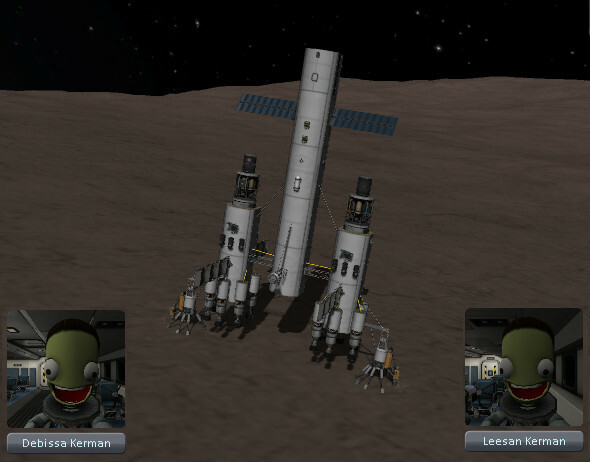 Three landers on Eve and none have antennas?!? 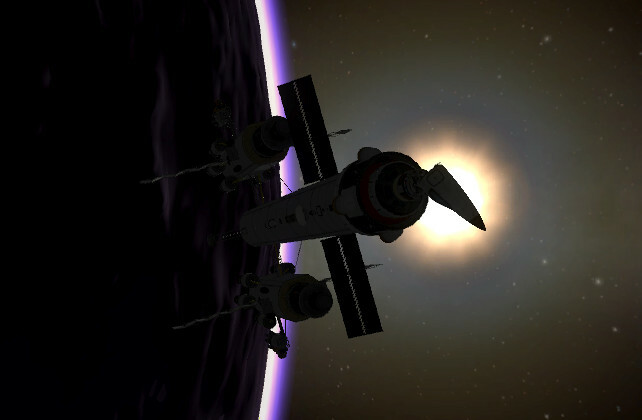 The mystery twins have other plans, but first they need to return to Gilly for fueling as just going from Gilly to Eve somehow took up more fuel than the original Kerbin to Gilly adventure. Stalula saw the ship coming in but there was no radio contact. What was going on? The twins just ignored her and then set about mining some fuel. Who knows what nefarious things they'll get up to next.